Assault charges can land you in jail. You commit any act with unlawful force or violence that actually causes bodily injury to another or at least cause a substantial risk of bodily injury to another. The typical bar-room-brawl or fight on the basketball court can result in charges of assault. 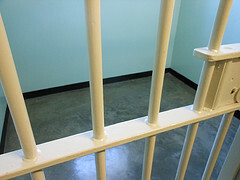 An assault conviction is a class B misdemeanor which can result in jail time and stiff fines. 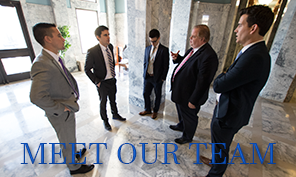 Your best defense is to put our experienced lawyers on your side. Our Utah violent crimes lawyers will do everything possible to protect your rights. Heightened penalties attach where the victim was pregnant or if the aggressor actually causes serious bodily injury. In such instances the aggressor can be charged with a class A misdemeanor. When the aggressor actually causes seriously bodily injury that is what is commonly referred to as “battery,” but it is typically still called assault. Often times, someone will be charged with assault even if he was protecting himself from the attack of another. You need to make sure to protect yourself by hiring an intelligent and aggressive Utah assault attorney. The criminal defense team at Salcido Law Firm is ready to fight (no pun intended) for you. We will give you a free consultation at any time Monday through Saturday and let you know exactly how your case will stand up against the prosecution. Call us at 801.413.1753 or email us and we will get back to you within an hour. The sooner you call us the sooner you will Get Protected!